Questions rise from quriousity. If there was ever a curious child, there was surely a whole big bunch of questions as well. Questions don’t necessarily need answers. What they need is to be able to roam around freely and poke in all sorts of matters. And qurious ones deserve to have their questions validated. 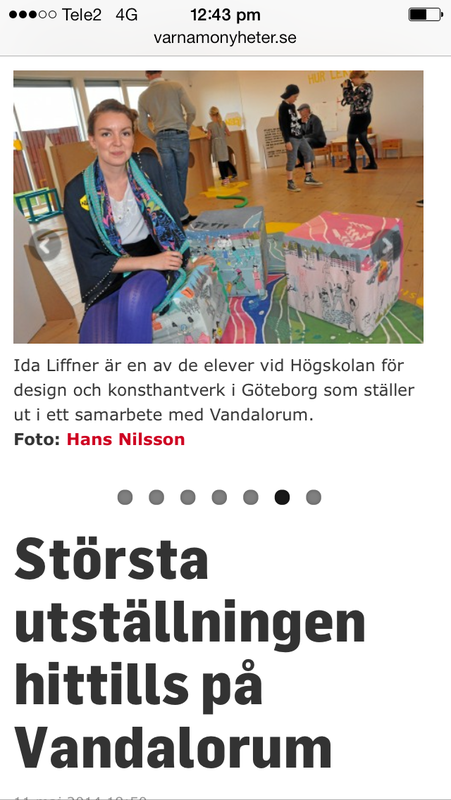 Lilla Landet frågvis is created as a platform where the child get to curate the conversation and try out ideas and opinions. It is its own little land consisting of three cities; What?, Why? and Who? – using the illustrations for association while integrating the activity of asking questions into the play situation. Lilla Landet Frågvis (The little curious country) was created as a project to be exhibited in NU DÅ – a sibling exhibition to Century of the Child at Vandalorum 2014. It was based on a clip from Barnjournalen from 1983 where Olof Palme is interviewed by ten year old Liv Larsson.